Since 1993 we have guar­an­teed all our clients a smooth run­ning of its events and we are doing our best to achieve our cus­tomers’ require­ments and wish­es. Every year we work tire­less­ly to main­tain the best pos­si­ble con­di­tion of our Tra­bants. Even after more than 2000+ events still in top form! In terms of pay­ment, we are very con­scious and par­tic­u­lar in imple­ment­ing SSL encryp­tion for all our trans­ac­tions. Shop eas­i­ly and secure online. A lia­bil­i­ty insur­ance with a max­i­mum of 500 EUR deductibles is includ­ed for each Tra­bant car. For every event we set up a ser­vice hot­line for fur­ther help on the way. Tra­bi Safari Berlin is your per­fect part­ner for team build­ing events and city sight­see­ing. 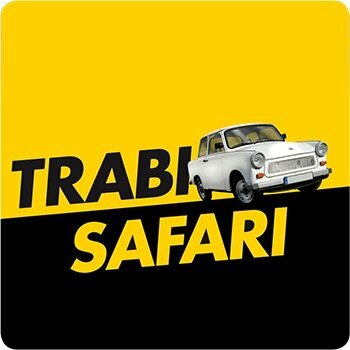 Whether it’s rent­ing a Tra­bant for your upcom­ing event, expe­ri­enc­ing our Tra­bi City­tour or to suc­cess­ful­ly com­plete our Tra­bi Safari: look no fur­ther – you have found the right part­ner in us!